Adventure! Mystery! Romance! Nine award-winning and bestselling authors present sweet western historical stories to ignite your imagination and feed your passion for reading. Let us sweep you away from your daily cares and entertain you with our sigh-worthy novellas set between 1865 and 1900. What a line-up we have for you! 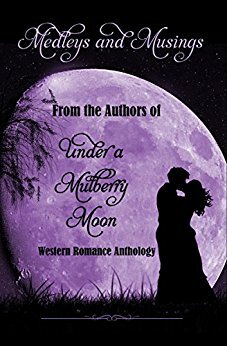 UNDER A MULBERRY MOON is a bargain! Preorder at only 99 cents before price goes up to $2.99 sometime after release! and a sampler at no cost. 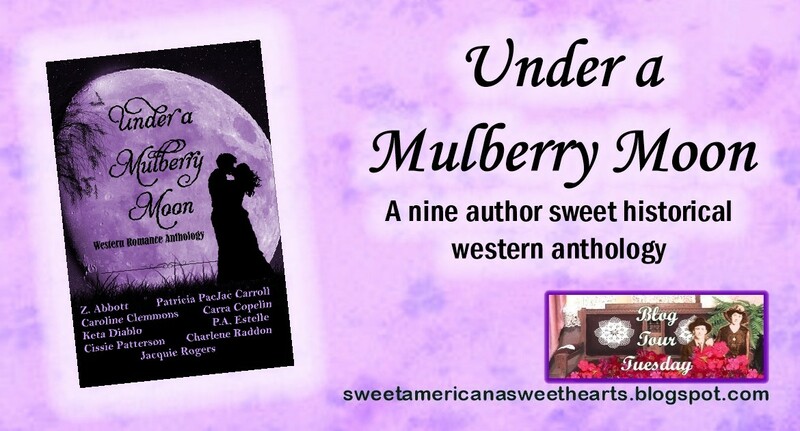 Medleys & Musings From the Authors Of Under A Mulberry Moon is a collection of short articles about the stories contained in the anthology Under a Mulberry Moon. Each section contains a cover art, a description, excerpt, the author’s favorite recipe, and the author’s biography. In the anthology nine award-winning and bestselling authors present sweet western historical stories to ignite your imagination and feed your passion for reading. 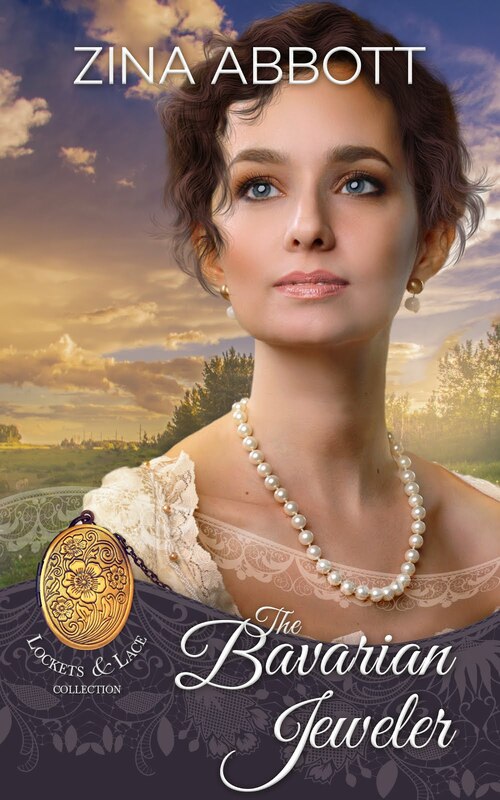 Let us sweep you away from your daily cares and entertain you with our sigh-worthy novellas set between 1865 and 1900. 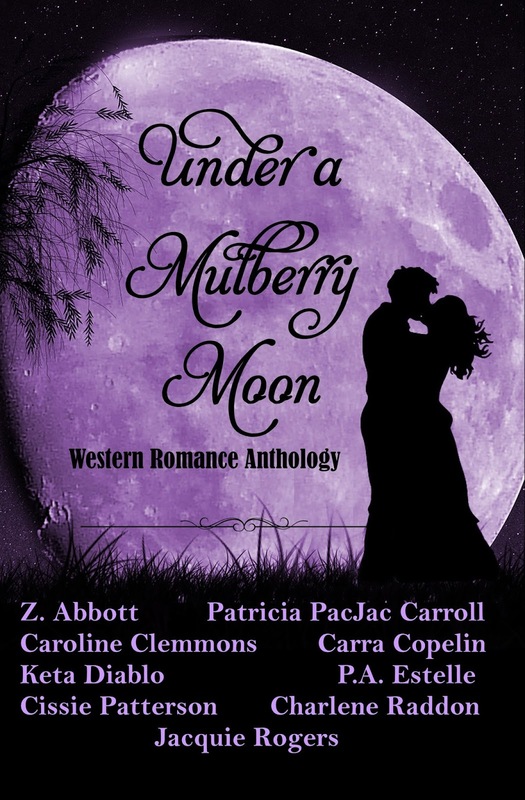 However, Medleys and Musing from the Authors of Under a Mulberry Moon is available now at no cost. To download it to your Kindle or Kindle app, please CLICK HERE. To learn more about the authors of the books in Under a Mulberry Moon, please visit their promotional blog by CLICKING HERE. It's a great anthology. I highly recommend it.